The following is an excellent article that appears in a recent issue of Insurance Journal. While it primarily focuses on states we don't operate in, there are parallels to be drawn for our hospitality clients in Indiana and Missouri - states without mandatory dram shop coverage legislation, like the states mentioned in the article. Even for those in Illinois, which does have a Dram Shop Statute, it provides something to think about with regard to how much liquor liability coverage you carry and making sure you get the right kind of coverage. Louisiana tavern owners Chuck Brechtel and Eddie Dyer are the first to admit that plenty can go wrong when your main line of work is serving alcohol to thirsty crowds all night. For that reason, they say they err conservatively when buying insurance for their five-bar chain, The Bulldog and Lager. That includes paying roughly $25,000 extra per year on a special line of coverage to protect each location from liquor-related losses and damages. Brechtel said owners can't be there every day to ensure bartenders stop serving visibly intoxicated patrons and call a cab for them, and they have little control if an inebriated patron decides to start a fight on their property and injures bystanders. Three of the bars in the chain are in New Orleans. Brechtel said plenty of New Orleans bars choose to save money on premiums in the hopes they won't be reeled into a lawsuit or that their standard insurance will cover their claims. But all it takes is one suit to kill a business, he said. "If you have to go out of pocket for tens of thousands of dollars paying attorney's fees, that can bankrupt you," Brechtel said. Alcohol service is almost a universal feature of the New Orleans hospitality industry and one that can leave bars and restaurants exposed to a world of risks. The largest bars and restaurants in New Orleans often carry what's known as liquor liability insurance, coverage that protects a business against damages claimed as a result of a patron becoming intoxicated and injuring themselves or others. In the past, this type of coverage typically was packaged with general liability coverage for restaurants and bars. After Hurricane Katrina, however, most large insurers that write packaged policies left the local market. Now, businesses often have to request a separate liquor liability line. Local insurance experts note many small businesses forgo liquor liability coverage to save money on premiums or are unaware of the coverage. Those that do have it may not know exactly what they are purchasing because what it covers varies from policy to policy. Many smaller bars and restaurants often erroneously assume that their general liability policy will cover legal fees and other costs if they are sued for a liquor-related damage. But a general liability policy typically contains an exclusion for liquor-related claims, necessitating the need for a separate liquor liability policy. "They think that their liability policy will cover them fully, come what may, come what might," noted one risk manager in the area. "That's just not the case." Stepen Hanemann, a New Orleans attorney who specializes in commercial litigation, said Louisiana law is fairly favorable toward busineses that serve alcohol, a reason some may feel comfortable forgoing coverage. Most states have so-called "dram shop" laws that hold bars and restaurants liabile if they knowingly over server a visibly intoxicated patron and that person injures another person, causing a car wreck, for example. Similar laws have failed to gain traction in Louisiana, Hanemann said. But local businesses still face a lot of risk, he said. Many of the alcohol-related claims against New Orleans bars and restaurants stem from injuries during fights between patrons. One fight could mean years in court and thousands of dollars in attorney's fees, even if the court ultimately rules in favor of the business. "Will they be sued? Yes," Hanemann said. "Will they be liabile? That's a question determined by the trier of the fact. Either way, paying out of pockets for big damage claims is not good for business." Another risk management specialist for bars and restaurants in the New Orleans area says that most of his 500 or so area clients buy liquor liability insurance "for defense and not for judgment." "To lose a judgment, you have to knowingly serve an underage or intoxicated patron, which is a difficult thing to prove. But the defense bills can go on for years," he said. "Defense costs are everything in our business right now." One thing businessowners need to do is make sure legal defense costs are covered - otherwise the insurance is worthless. Some insurers will deduct the cost of a lawyer from the total coverage, reducing a $500,000 policy by $100,000 because of legal fees, for example. And no matter how strictly you instruct your bartenders and other employees not to drink on the job, it's likely that at some point, when they think the coast is clear, they will drink on the job. So making sure employees are covered under your liquor liability as well. Bar and restaurant owners should make sure they have an adequate level of assault and battery coverage under their policy as well. Assault and Battery is a coverage under both General and Liquor Liability policies for fights on premises. Many insurers leave out this coverage or provide a meager sub-limit. Other things businesses should check are covered include shootings, sexual assault and other specific claims, including mental damages should a claimant sue for stress or anguish following an incident. Lastly, restaurants and bars that serve at festivals or other events should ensure that their liquor liability covers off-premises claims as well. It may be necessary to add a catering endorsement or a separate special event policy if your regular coverage won't cover your operations off-premises. One gray area is coverage for establishments that do not sell alcohol, but allow customers to bring their own alcohol to drink with a meal. 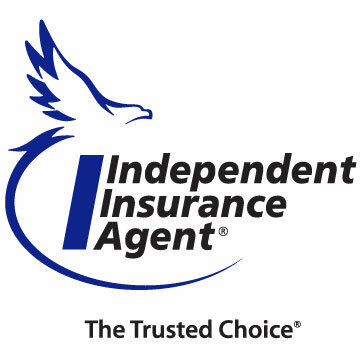 ISO (Insurance Service Offices), one of the largest U.S. risk research firms, recently revised its policy language to clarify that liquor-related claims would be covered under a general liability policy since the restaurant is not in the business of selling alcohol, but noted that insurers have the option to underwrite a separate liquor liability policy if needed. Hanemann said such establishments may want to encourage customers to bring only low-alcohol-content beverages such as beer. Insurers might push for a separate liquor liability policy for higher content alcohol, he said. Ultimately, bars and restaurants should know their business, be realistic about the risk and plan accordingly. Every few years we take time to remind folks in this space about Flood Insurance. Given that it's been raining here in southern Illinois for the last fo ur days as I type this, it seems particularly timely. Flooding is not a covered peril under standard Homeowners or Commercial Property policy forms, so it must be added via endorsement, if available, or as a separate policy. Since flood insurance is only mandatory if you have a mortgage from a federally-regulated lender and are located in a high-risk flood zone, most people go without it. 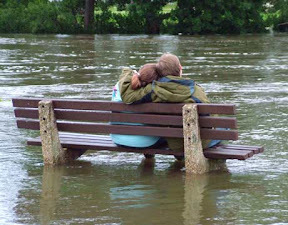 To put to rest a common myth, everyone is located in a flood zone. The only variance is whether you are in a low, moderate or high risk zone. a general and temporary condition of partial or complete inundation of two or more acres of normally dry land area or of two or more properties (at least one of which is the policyholder's property) from one of the following: (1) overflow of inland or tidal waters; (2) unusual and rapid accumulation or runoff of surface waters from any source; (3) mudflow; (4) collapse or subsidence of land along the shore of a lake or similar body of water as a result of erosion or undermining caused by waves or currents of water exceeding anticipated cyclical levels that result in a flood as defined above. If you think you can wait until a flood seems imminent and still obtain coverage, think again. There's typically a 30 day waiting period before a policy can take effect. Flood coverage is also more restrictive than other property insurance. It covers only direct physical damage to your property and possessions from flooding - no loss of income for shut down businesses or loss of use if you have to rent a hotel room for a few weeks because your house is all wet. Coverage is more restricted in regards to what is and isn't covered - a good list can be found here. And items in basements are also closely scrutinized. Floods are the #1 most common natural disaster in the United States. Over the past five years (stats from 2007-2011) the average paid flood insurance claim was more than $35,000. From 2002 to 2011, total flood insurance claims averaged over $2.9 billion per year. The average flood insurance policy is about $625 annually. People outside of high-risk areas file over 20% of National Flood Insurance Program claims and received about one-third of disaster assistance for flooding. In 2011, the NFIP paid over $2 billion in flood insurance claims to all policyholders. The stats FEMA has compiled above don't reflect the massive flooding damage done in October 2012 by Hurricane Sandy, which caused an estimated $75 billion in total damage. If you want to get an estimate of your risk of flood you can try the Map Your Risk tool on floodtools.com. It's tempting to think that climate change is bringing more frequent, stronger and larger thunderstorms and accompanying tornadoes, but climate scientist say they just don't know if that's the case. Tornadoes and the severe thunderstorms that spawn them are difficult to predict, they say. "It's hard to predict future tornado seasons when we don't understand current tornado seasons," Harold Brooks, a researcher at the National Weather Center, told the Associated Press during the National Tornado Summit held recently in Oklahoma City. Similarly, a report published this year by Lloyd's of London, "Tornadoes, A Rising Risk," states: "While climate change may have a number of effects on atmospheric conditions favorable to tornado formation, the relatively short and unreliable record of tornado activity makes it difficult to determine a definite trend in tornado climatology. Climate models are currently unable to resolve small-scale phenomena such as tornadoes, and no models exist which can use climate model data to predict future tornado activity." With the onset of "tornado season" a few statistical reminders may be in order. 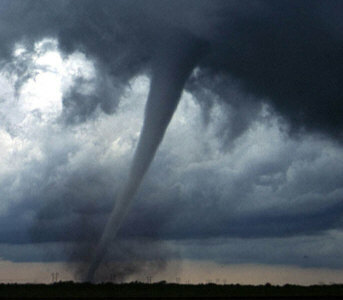 The Insurance Information Institute reports that there were 939 tornadoes in the United States in 2012. Insured losses resulting from severe thunderstorms, including tornado events, caused $14.9 billion in insured losses and $27.7 billion in economic losses last year, according to Munich Re. The top ten states for tornadoes in 2012 were: Kansas (145), Texas (114), Alabama (87), Mississippi (75), Kentucky (65), Louisiana (53), Nebraska (48), Oklahoma (41), Florida (40) and Illinois (39). Nearly 1700 tornadoes were reported in 2011, and total damages from the outbreaks exceeded $25 billion, according to the Lloyd's report. That number includes the May 2011 tornado outbreak in Joplin, MO, which caused $2.2 billion in insured losses and resulted in 158 deaths. Although tornadoes have been recorded on all continents except Antarctica, according to Lloyd's the United States annually has the most tornadoes - around 1000 on average. The most violent tornadoes also typically occur in the United States. Lloyd's reports that Canada has the second most number of tornadoes but far fewer than the United States - about 80 to 100 annually. Additionally, according to Lloyd's, "Russia may have many tornadoes but reports are not available to quantify their occurrence." Several companies, both personal and commercial property insurers, are tightening their policy language on wind and hail losses, especially to roofs and siding. In some instances, carriers are mandating Actual Cash Value (ACV) valuations automatically on roofs. This type of valuation deducts depreciation from the claim settlement. The older and more worn your roof is, the more you'll pay out of pocket because the more the roof will be depreciated. Some other companies have switched to wording in the last few years that inserts conditions on the roof - if it's older than X number of years (often 20), then it will be paid on an ACV basis. If it's newer, then it will be paid at Replacement Cost value. And then there are still some insurers out there who will pay Replacement Cost, no matter the age. The point is, know what your policy says. This is one of the more common first-party property damage claims, if you own your home or commercial property long enough, it will end up being a situation you'll encounter at some point. So as we approach tornado season, don't forget to remind your employees and/or family (especially children) the basics of tornado response. A tornado watch means that conditions are ripe for a tornado to occur in the area. A tornado warning means that a tornado has actually been spotted, either from the ground or on radar. If you are in a structure: go to a pre-designated shelter area such as a safe room, basement, storm cellar or the lowest building level. If there is no basement, go to the center of an interior room on the lowest level (closet, interior hallway) away from corners, windows, doors and outside walls. Put as many walls possible between you and the outside. Get under a sturdy table and use your arms to protect your head and neck. Do not open windows. If you are in a vehicle, trailer or mobile home: get out immediately and go to the lowest floor of a sturdy nearby building or a storm shelter. Mobile homes, even if tied down, offer little protection from tornadoes. If you are outside with no shelter: lie flat in a nearby ditch or depression and cover your head with your hands. Be aware of the potential for flooding. Do NOT get under an overpass or bridge. You are safer in a low, flat location. Never try to outrun a tornado in urban or congested areas in a car or truck. Instead, leave the vehicle immediately for safer shelter. Watch out for flying debris, debris from tornadoes causes most fatalities and injuries. As we teased in this space last issue, one of our carriers, Illinois Casualty Company, has rolled out the first endorsement we've seen specially tailored to the Video Gaming Bill that many of our friends in the hospitality industry are jumping on. Last October, the State of Illinois began allowing video gaming machines at licensed taverns, restaurants and fraternal organizations. Business owners in the food and beverage industry are always looking for ways to draw customers to their establishments and video gaming is another avenue to do just that. However, from an insurer's perspective, it also presents another risk that needs to be considered and addressed. Business Personal Property Coverage for Video Game Terminals is provided, subject to a $90,000 limit of insurance. Money and Securities Coverage for cash contained within the video gaming terminals and/or in the vault located at the designated premises and for which the insured is legally responsible to the Illinois Gaming Board or the Terminal Operator is provided, subject to a $20,000 limit of insurance. These limits are additional insurance, applicable only to the specified items, and offered at a reduced rate in recognition of the controls in place for the video gaming equipment and associated cash. A flat premium of $350 is applied per location. A copy of the endorsement can be found on our website, here. If you're interested in adding this coverage ASAP, please contact our office. Note: While this article focuses on teens, social media and personal liability ramifications, there's an important parallel for everyone posting information to the internet. Jealousy. Passion. Betrayal. No, not the latest television drama, but high school. For many the high school experience comes with social pressures and obligations to fit in and belong, and sadly this can lead to exclusion and isolation of some students. At some point we all probably said something in our teen years in the heat of the moment that we wish we could take back, but today's teens face the added burden that if they convey those statements on social media sites like Facebook and Twitter, their words could be around for a lot longer than just the heat of the moment. It doesn't take much searching of the news to see stories of teens using social media sites like Facebook to transfer the cruelty of high school hallways into the online world. Teens that make fun of a student or tease them may not just be responsible for hurt feelings, but if they're publishing bullying or teasing posts online or revealing private information about another teen in a public forum, whether a blog, to their Facebook profile or other social space, they may be exposing you and your insurance policy to a claim. Generally speaking, any coverage you have through your homeowners or renters insurance policy also provides coverage to other residents of the household, including your teenage children. Standard homeowners and renters policies include liability protection for bodily injury or property damage, which would pay for the costs to cover medical bills or repair/replacement costs if your child injured a friend in a pick-up basketball game or if they were at a friend's house and accidentally spilled soda on a $13,000 oriental rug, subject you your policy's deductible. But what if your son or daughter were to post rumors about other teens online that implied drug use, promiscuity, or other information that could damage that person's reputation? With college admissions offices and employers beginning to look up applicants on social networking sites, rumors and gossip have the very serious potential to damage someone's ability to get into the college of their choice, or find a job. Or if your son or daughter "outs" another teen's sexual orientation, there's the potential that someone could pursue legal action under a type of defamation known as publication of private facts. Interestingly, a standard homeowners or renters policy would not cover these instances. In order to cover claims from that kind of situation, homeowners and renters policies must have a "Personal Injury" endorsement. You may be surprised to find that this expanded coverage may not cost you much additional premium. A personal injury endorsement will pay the costs up to the limits of your policy to defend you, pay a judgment or settle a case when legal action is brought against you or your children for non-physical types of injury - defamation, slander, privacy violations, false arrest and wrongful eviction or entry. Make sure that if you're a parent, you talk to your children about social media, how they use it and what's expected of them. It's critical that they understand how their use of social media could impact your insurance. Some parents choose to actively monitor their children's use of social media, and there are various software programs available to assist those who want to closely monitor what their children do in social spaces. No matter what you choose to do, we should all encourage each other to treat others with respect - follow the golden rule. We offer a full range of personal lines coverages for homeowners, condos, renters and rental property, auto, boats, motorcycles, RVs and more. Give us a shot at your next renewal to see how we compete. Package multiple policies together with the same insurer for additional discounts. Several insurers have been changing their policy forms the last few years to restrict coverage for wind/hail damage to roofs, taking away the option of Replacement Cost coveage and only offering Actual Cash Value, which includes depreciation deductions. Wind and Hail claims are one of the most frequent affecting homes. A recent State Farm report on hail claims puts Illinois, Missouri and Indiana numbers 2, 5 and 7, respectiveley, for hail claims in 2012. Does your Homeowners policy fully protect you from hail and wind claims? Our companies do offer full replacement cost on roofs from these types of losses. Yet another reason to allow us to take a look at your home coverage. Founders is a 112 year old, A- rated company based just north of O'Hare Airport in Chicago. We have been contracted with them since 2007. While they offer some personal lines coverage, we find them most useful for Liquor Liability coverage on several classes of Hospitality Businesses.